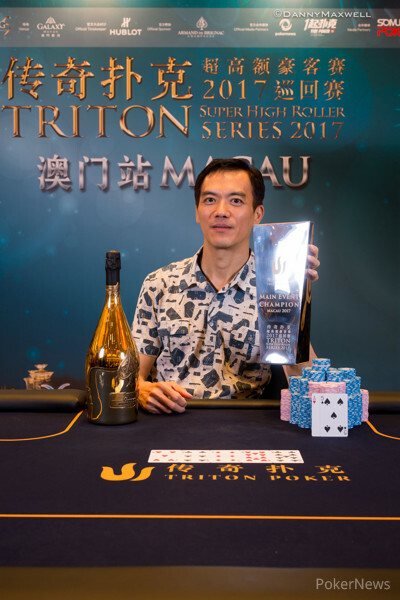 The largest-ever Triton Super High Roller Series Main Event prize was awarded Friday evening to Poker Hall of Fame member John Juanda after he captured the HK $1,000,000 Macau Main Event for HK $22,410,400 (US $2,872,299). 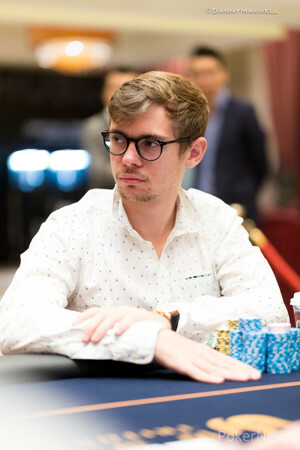 Juanda defeated Fedor Holz heads-up after a four-and-a-half-hour battle inside the Galaxy Macau Hotel in Taipa, Macau. When asked how he was feeling after securing the largest cash of his career, Juanda responded with, "Well, obviously it feels great anytime you win a tournament of this magnitude. First, you have to play pretty well and you also have to get lucky. Especially nowadays with the tough fields we have. For example, the final table, I mean, looks like everybody is an amazing player." Juanda went on to express his appreciation for the Triton Poker events. "There are so many things I like about the Triton tournaments because they always treat the players nicely and of course I'm good friends with all the organizers. I feel very comfortable every time I come here. Manila, Montenegro, and here [Macau], it's like being around friends. The field is always really good. The registration desk.. there's never any line. The buffet is probably the best from all the poker tournaments." Juanda began the heads-up battle with an almost two-to-one chip advantage and quickly pulled ahead to increase the margin to nearly five to one. Holz closed the gap to almost even before Juanda cut Holz in half again. Two straight doubles by Holz flipped the script and Holz took the chip lead. Juanda wasn't fazed, however, and in a matter of three hands, had retaken a sizeable lead. Eventually, Juanda was able to pierce the German's armor, getting Holz all-in in a dominating position and holding. With the win, Juanda climbs to the seventh place on the all-time money list sitting just behind Phil Ivey. Juanda's career live recorded tournament earnings climb to just over US $23.5 million. 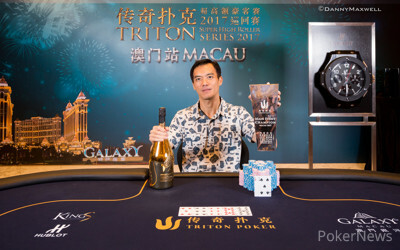 The HK $1,000,000 buy-in Main Event played out over the course of three days, setting a Triton Poker record in the process. With 57 unique entries and 26 re-entries totaling 83, an HK $78,086,400 (approx. 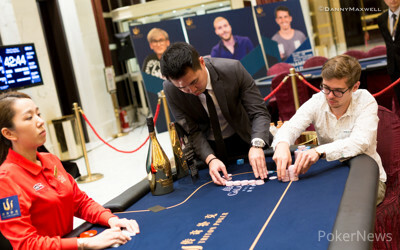 US $10,008,703) prize pool was created, the largest in Triton Poker history. As expected, a star-studded field filled the Galaxy poker room. 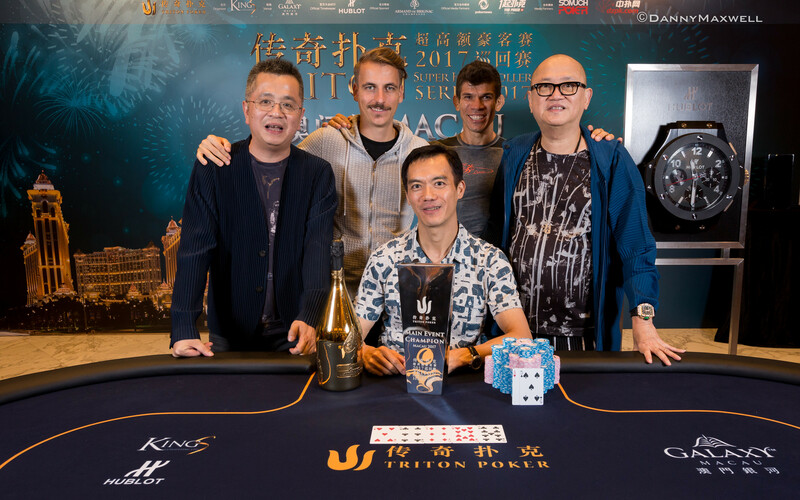 Triton Co-Founder Richard Yong and Kings Consulting President Winfred Yu were in attendance along with elite pros Steve O’Dwyer, Ben Lamb, Steffen Sontheimer, Erik Seidel, Mike Watson, and the HK $250,000 6-Max Champion Stefan Schillhabel. Former Triton champions Koray Aldemir, Manig Loeser, and Wai Kin Yong were also in the mix, but only the top 12 players left with a prize. Isaac Haxton was the first casualty of the final table, slipping to around 10 big blinds and shoving with ace-three. Unfortunately for him, Dietrich Fast woke up with a premium hand and knocked Haxton out with a dominating ace-jack. Next to go was Timothy Adams. A sick cooler spelled the end for the Canadian when he ran queens into Kahle Burns’ pocket kings and found no love to bust in seventh place. A massive pot against Fedor Holz sent Stephen Chidwick to the rail in sixth place. Chidwick bluff-shoved the river and after Holz tanked for four and a half minutes, John Juanda called the clock and Holz eventually called with just top pair and proved good. Soon after, a short-stacked Fast dropped when he three-bet jammed on Burns with ace-king and Burns’ pocket nines prevailed in the race. A couple levels went by before the start-of-day chip leader Adrian Mateos found himself with fewer than 10 big blinds and all-in against Juanda. Mateos was behind and Juanda held to eliminate the young Spanish phenom. Once Mateos left, Burns became the shortest stack and was able to climb over Holz before running into Juanda. Burns three-bet shoved on a Juanda open and the Indonesian native put Burns at risk. Juanda was ahead with ace-ten against Burns’ king-queen and held to set a heads-up battle with Holz. With the cash, Burns almost doubled his career live-recorded tournament earnings and topped his previous best cash by more than three times. That wraps up the PokerNews coverage of the Triton SHRS. Follow @pokernews on Twitter for live updates and more. Also, follow PokerNews on Facebook and Instagram. John Juanda limped in on the button and Fedor Holz shoved from the big blind sending Juanda into the tank. Juanda got the count which totaled 6,875,000 and took a few moments before making the call. Juanda made the right call though half the time they would chop the pot. The flop fanned out increasing the chop outs. The fell on the turn making it 90% likely they would chop. As the dealer patted the table one last time Juanda shouted "Five," and sure enough the peeled out and John Juanda captured the $1,000,000 Macau Main Event. Fedor Holz limped and John Juanda checked his option. The flop was and Juanda check-called a bet of 400,000. The hit on the turn and Juanda check-called another bet, this time worth 1,375,000. Both players checked after the fell on the river. "Eight," said Juanda but it wasn;t good enough as Holz tabled and won the pot. There wasn't any significant action to report on but John Juanda has reclaimed the chip lead after taking down the last three pots. Fedor Holz opened to 800,000 and called a three-bet jam from John Juanda, putting his tournament life on the line. The board ran out and Holz doubled up, overtaking Juanda as the chipleader. John Juanda open-jammed and Fedor Holz put himself at risk. "I think I got you," said Juanda as he tabled his hand. "Oh. You got me," Juanda replied after Holz turned his hand over. The board ran out giving Holz a flush and the German doubled up to stay alive once more. Another two levels are in the books and the players have departed on a short break. Here is how the two finalists currently stack up. John Juanda open-jammed and Fedor Holz called putting himself at risk. Holz was in great shape to double up and would stay alive fading a turned flush draw for Juanda with a run out.